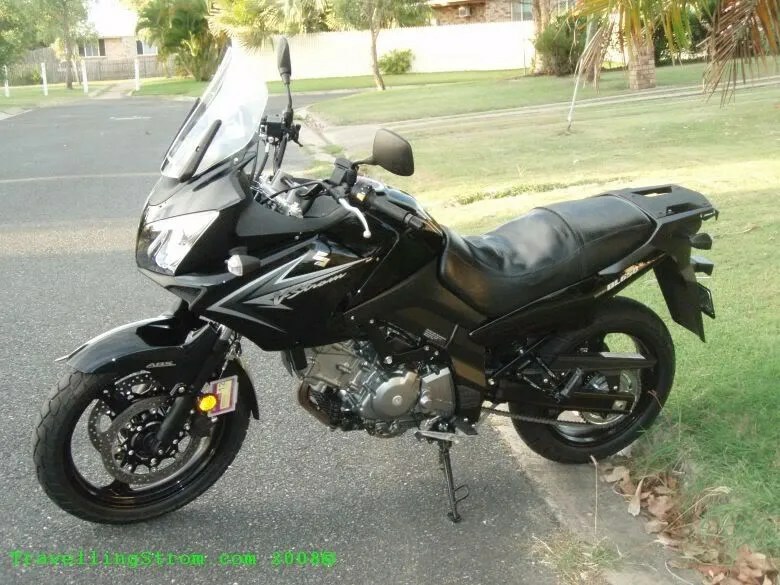 A bit has happened recently, as you may or may not know, I replaced my bike and traded it in on the new 09 ABS(Antilock Braking System) version. 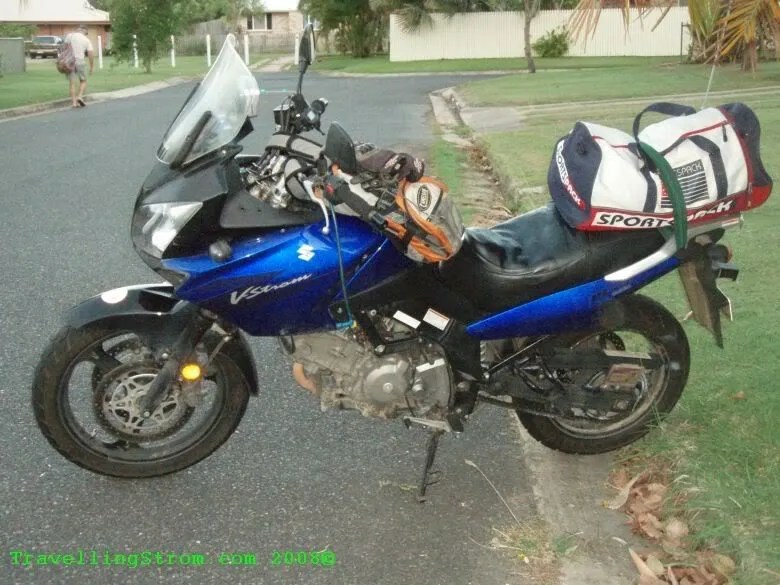 The old one, totally de-farkled, ready to ride to Brisbane to trade in. And the new one the next day. I had to take some time to think about things, which is what I am doing now. I would really like to see the US at least. I have since found that the maximum length of time, according to their new Homeland Security system, that I can spend in the US is 90 days, not worth the effort, this is using the new Visa Waiver program. I have applied and been accepted for a Visa Waiver Pass, but I have also applied, or am trying to apply for an extended Visa of at least 6 months, maybe a year, this would then make it worth while to fly over with the bike and see that whole continent including South America. An update here, I have applied online for the non-immegrant visa. This means some paperwork, of course, and a cost to buy a visa application, non refundable of $200AU, then a trip to Sydney to the US Embassy for an interview. A bit of a rigmarole and it looks a bit costly, but I will go through the process and get the visa as it is valid for a few years, then sort out overseas travel. Note on the above, if I do get a visa, this does not mean I am allowed in the country, it means if the Homeland Security person that checks me at the airport has a bad hair day, he may say nick off, go back home, very frustrating not knowing. I have not managed to get it to work yet, but am trying to nut it out. This entry was posted on January 31, 2009 at 9:36	and is filed under Aussie Leg. Tagged: 09ABS Vstrom, fuel economy, modified ABS, SPOT Tracking Manager, STM, Visa Waiver. You can follow any responses to this entry through the RSS 2.0 feed. You can leave a response, or trackback from your own site.